Just back home after a weeks work on the Cuillin Ridge. 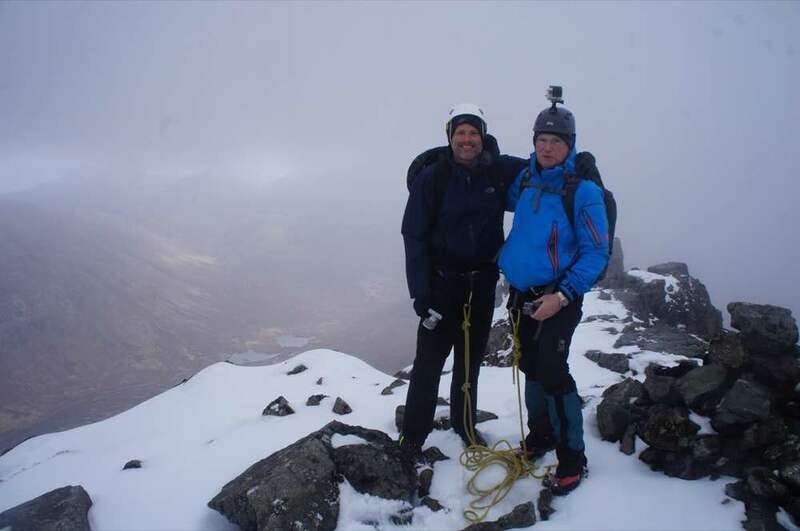 Von and Graham came to Scotland for a flying visit from the USA and had hoped to complete a full traverse of the ridge. Sadly the weather wasn’t playing ball and we experienced several fresh snow falls on top of the existing snow still present on the ridge. 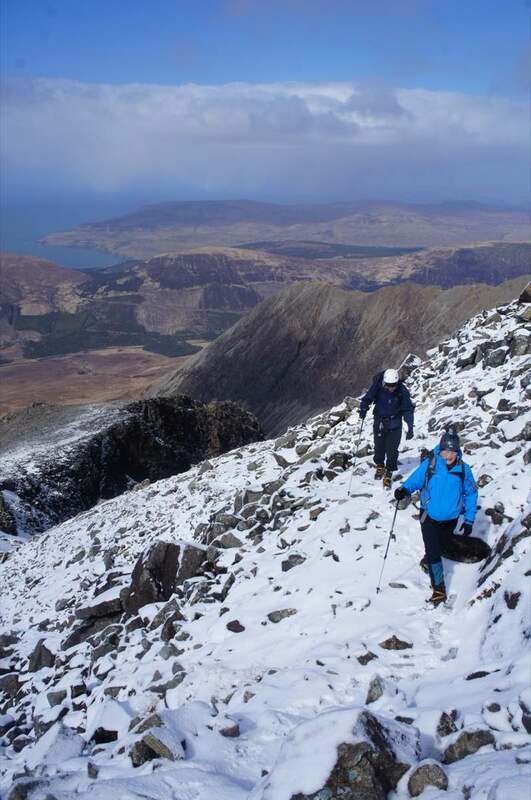 The guys weren’t deterred and were up for a series of day trips to see what the Cuillin has to offer. Day 1 consisted of a wintery ascent of “the tourist route” on Sgur nan Gillean followed by a descent of the west ridge and then back to the Sligichan via Corrie Bhasteir. Another difficult forecast on day 2 saw us taking a gamble and heading for the Inn Pinn. Unfortunately the winds picked up and this combined with icy rock forced us into abseiling off after the initial chimney. Friday was the last day that I had with Von and Graham as they were leaving Skye on Saturday morning bound for Glasgow and then the long flight back to the States. With more snow forecast and low cloud we chose to go down to Loch Slappin and make an ascent of Blaven, one of theoutlyingCuillin munros. We battledchangeableweather conditions all day with short spells of glorious sunshine followed by hail and snow showers, but we made it to the summit and had a really enjoyable day out. Von and Graham were fantastic company for the week and a real pleasure to be out with. On Friday evening they treated me to a meal at the world renowned Three Chimneys restaurant; I can honestly say that this was the best meal I have ever had! It really lived up to it’s reputation. 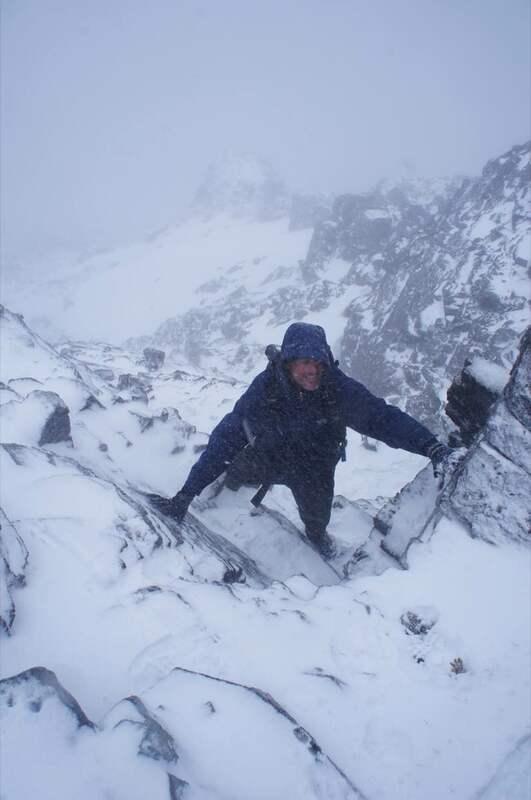 It’s always going to be a gamble with the weather at this time of year and some years late April will be the ideal time to attempt the Cuillin ridge, other years like this one winter will still be present. It’s all good fun either way! Some photos from the week below. Newer PostClimbing in Alaska - success on Denali!